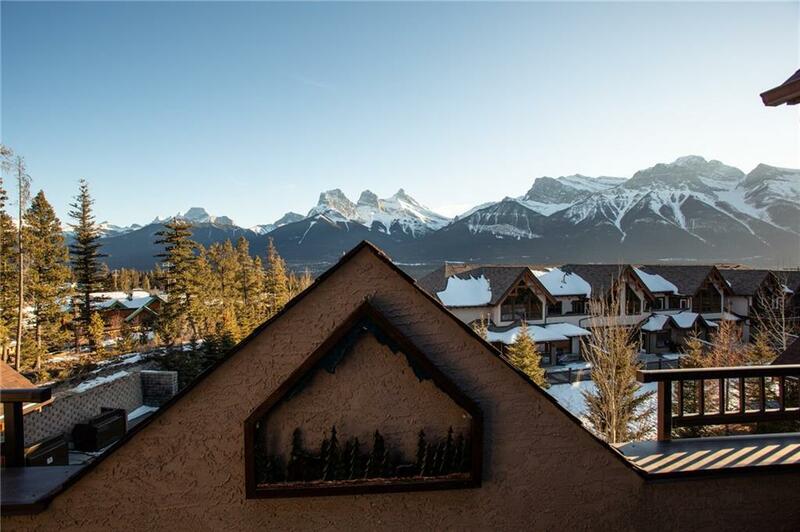 Bright and sunny luxury 3 bedroom penthouse condo all on one level. 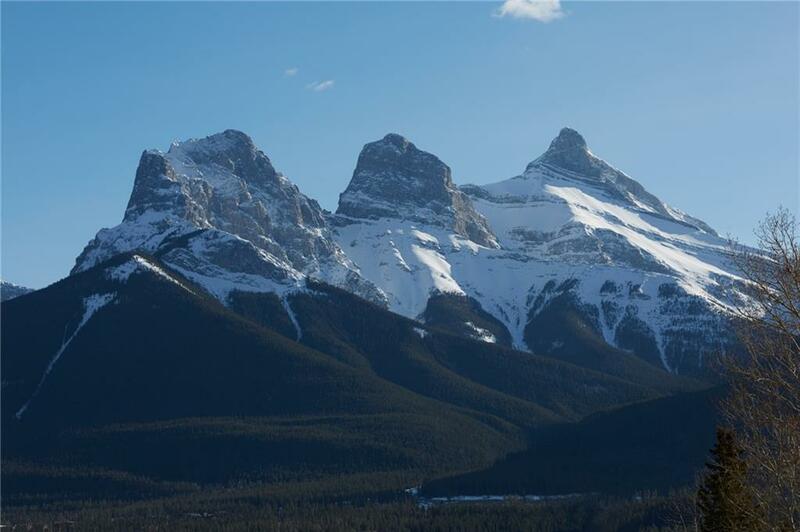 Panoramic views of Three Sisters and southwest mountain ranges. Fine finishings, vaulted ceilings, large windows and lots of upgrades. 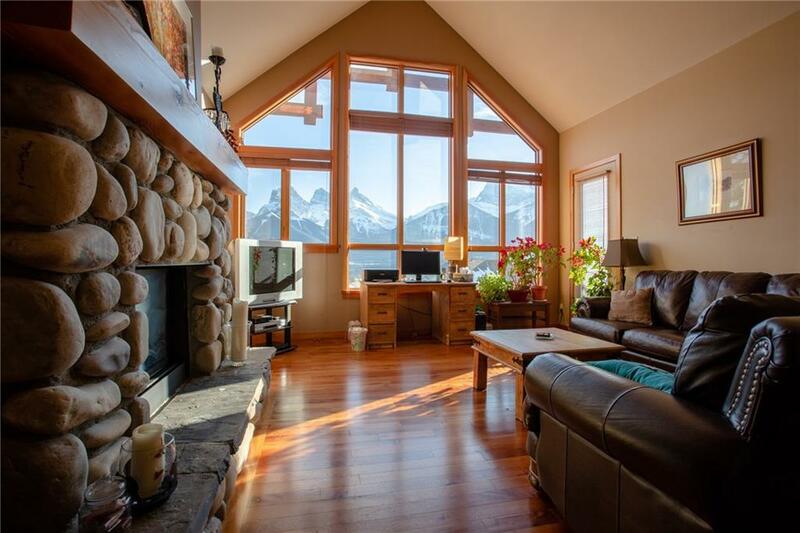 Grand living room with rock fireplace and soaring windows to the views, hardwood and slate floors and spacious view deck. Kitchen with stainless steel appliances and granite counters. Large dining area with lots of room for your guests and family around a harvest table. Master bedroom with the comfort of a cozy fireplace and privacy of your own sitting area, luxury ensuite and large walk in closet. Two additional bedrooms and second full bath. 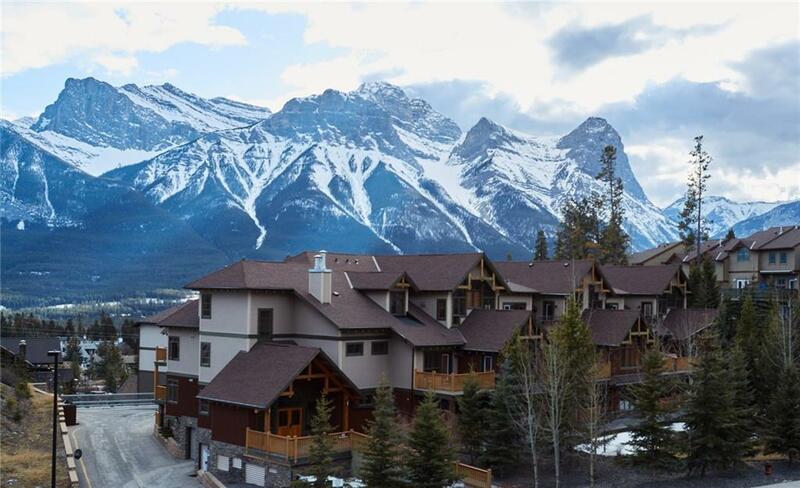 One of Canmore's premier builders has crafted another quality property. Two heated indoor parking stalls in the secure garage with two separate storage areas.